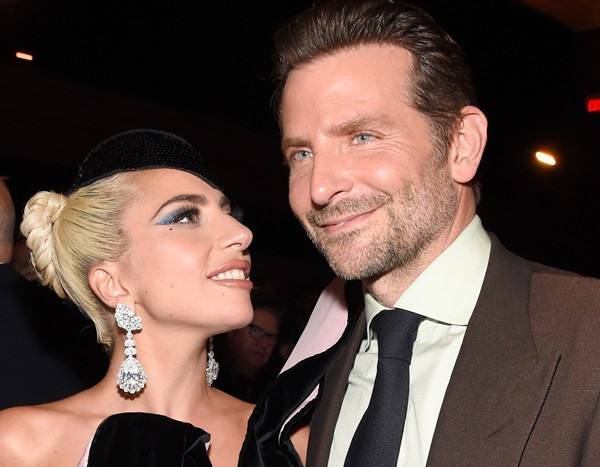 No matter what, Bradley Cooper is an Oscar-worthy director to Lady Gaga. On Tuesday, the 2019 Oscars nominations were announced and, much like every year, there were a slate of snubs and surprises, most notably for Cooper. While the A Star Is Born actor, co-producer and co-screenwriter was recognized by the Academy with Best Actor, Best Adapted Screenplay and Best Picture nominations, he was shockingly left out of the Best Director category despite the rave success of his directorial debut. While the snub was a standout one, Cooper celebrated his nominations and the nods of his film with grace. “Everyone who worked on this film truly risked putting themselves out there—in the hope that in doing so people will connect and feel something deep and personal—the way films have made me feel since I was a kid. When I got this opportunity I knew I had to risk it all because I may never get another chance—so to be here today in a place where people who have seen the film are talking about how it makes them feel, something deep—that simple human thing—that we need each other—and the Academy to recognize that this morning—I just am so grateful,” he said in a statement. Needless to say, they’re both ever the consummate professionals. With Cooper’s Oscar nomination count up to seven, Gaga is also racking up an impressive nomination list of her own. After winning her second Golden Globe award earlier this month, this time for Best Original Song, Gaga is also now a three-time Academy Award nominee with her first acting nomination this year as well as her second Best Original Song nod. Now, the triple threat is once again among the contenders—though she initially thought that wasn’t the case. As Mother Monster explained to the newspaper, since she goes to sleep late right now because of her Las Vegas shows, her fiancé Christian Carino has been leaving her notes about any nominations. However, a note was missing on Tuesday. “I woke up and there was no note, so I thought I must not have gotten nominated—or we must not have gotten nominated. So I called my manager, Bobby—cause Bobby’s good with bad news—to see what was going on. And then he told me all the nominations, and I just started crying,” she told the Times. Not to fret—the newspaper confirmed there was indeed a note later found.